"Very thorough, caring, and treats you like family. Wouldn't go anywhere else"
" got my lips done here and couldn’t be happier!" "Dr. Perri took care of my problem on the first visit. Explained everything very clearly." "Dr. Perri is willing to go the extra mile to make sure he provides excellent care!" "This is the most professional and personable team in the area." 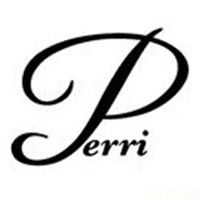 "Perri Skin Care/Surgical Specialties has an amazing team of professionals!" "Dr. Perri does excellent work. He is always pleasant and professional." At Perri Skin Care, patients can undergo medical skin care treatments, aesthetic and cosmetic solutions, and noninvasive body contouring, all under one roof. The state-of-the-art clinic is conveniently located in the heart of Sewell, New Jersey, nestled between Washington Township High School and Jefferson Hospital. Louis Perri, MD, the clinic’s founder, expert physician’s assistant Tracy Marchetta, PA-C, and the rest of the practice’s caring team treat patients like family. They do their best to accommodate patients, and learn about each patient’s needs and desired outcome. As a board-certified physician, Dr. Perri specializes in effective skin cancer treatments. His dedicated team works diligently to ensure patients fully recover from skin cancer while minimizing scarring and restoring a patient’s natural beauty. The team even offer a wide variety of aesthetic therapies. Between rejuvenating HydraFacial® sessions, laser skin resurfacing, anti-aging injectables, and more, patients can look as good (and as young) as they feel. Patients can expect personalized aesthetic packages that yield entirely natural results. The friendly and knowledgeable staff encourage patients to reach out with questions or concerns at any time. They offer flexible scheduling throughout the week. We pride ourselves on providing effective treatment without sacrificing your skin. Our goal is to provide quality care from infants to elderly. "Not only is this a doctor office, but you can also enjoy a relaxing facial with the hydra facial or get cool sculpting. The staff is very knowledgeable and helpful..."
"The staff welcomed me with open arms and got me right in. Sylvia has been a wonderful and understanding patient advocate. Dr. Marchetta provided a detailed explanation." "I had minor surgery performed by Dr. Perri. He is personable and professional. I have had the same surgery performed twice before with less than satisfactory results." "I have been in need of Dr Perri's services several times, I have been and continue to be a satisfied customer as well as a big fan." "I was so worried about my surgery on my face and it’s been 6 months and you can’t even see the scar. He’s incredible!" "Dr. Perri did an awesome job on my basal carcinoma removal." "My experience was the best, love the employees so accommodating. Would highly recommend."